I don’t remember exactly who shared this recipe or how I found it, but it came from MomColoredGlasses. 1) Preheat oven to 350 degrees and spray an 8×8 baking dish with nonstick cooking spray. 2) Melt the dark chocolate in the microwave with 1 tbsp of water. 3) Place all ingredients, except walnuts, in a food processor. Process until consistency is smooth. 4) Pour batter into prepared dish and sprinkle with walnuts. 5) Bake for about 30 minutes, until top is dry and begins to pull away from the sides of the dish. I brought some fat-free cool whip along to use as a topping, but the original recipe says she used a dollop of greek yogurt (which also sounds good)! wow those brownies sure look amazing! That sounds awesome! 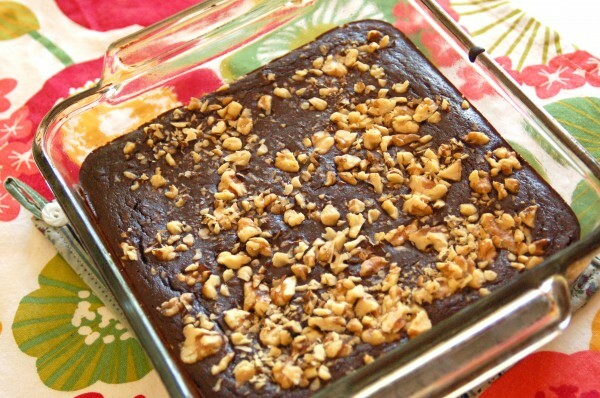 I have never heard of Black Bean Brownies…this may be the answer to my need to bake this weekend. I haven’t done any baking because I need Baking Soda and Powder…off I go to Target!